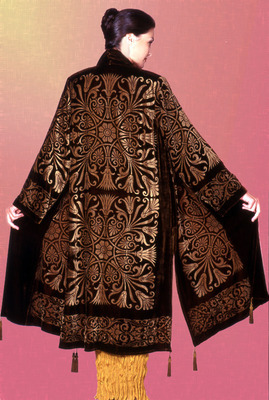 The Velvet Collection began because of my admiration of and inspiration from the designer Fortuny. 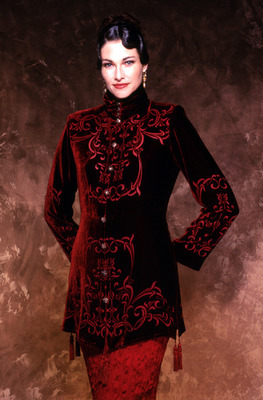 Most of my Velvet designs start out as plain white silk and rayon velvet. 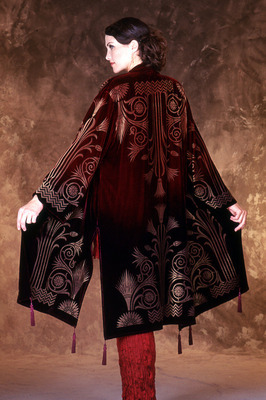 The velvets are hand dyed in our studio. After dying, the devore’ etching paint (meaning devoured in French) and/or textile paints are hand applied onto the fabric. 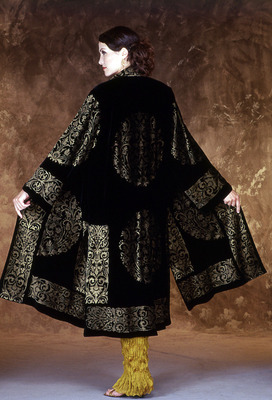 This creates the rich textural designs you see here. 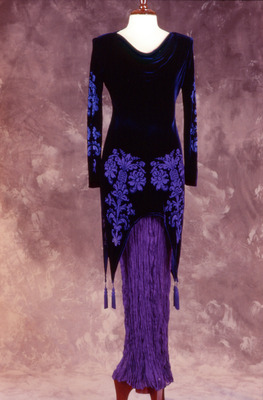 All of the textile designs are adapted from artwork from the turn of the last century European and Asian art.